Document Imaging is a helpful tool used by many government agencies, businesses, hospitals, physicians and healthcare facilities and independent school districts. It helps them save money, increase productivity, secure vital information from disaster and reduce, or even eliminate, current storage areas. All of the facets of document imaging together reveal a powerful tool that cannot afford to be ignored in the modern age. 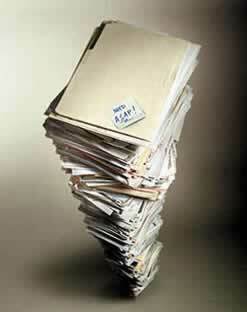 Complete Records Management, Inc. specializes in high-volume scanning and conversion, and we offer offsite services for government agencies, businesses, hospitals, physicians and healthcare facilities and independent school districts that save time and personnel costs, automate processes, save space, and reduce the need for equipment investment. We provide scanning and conversion services for paper documents, blueprints, and over-sized drawings can all be converted to electronic images. After meeting with you and your staff, we can help you determine your exact needs and priorities. Furthermore, we will provide you with expert advice on how to accomplish your specific document management objectives. Once a document is in our system it is assigned index information. Index information identifies each document and allows it to be retrieved quickly and efficiently. Traditional index filing uses just one unique identifier, but with our document imaging retrieval capabilities, we can provide multiple identifiers that can be utilized, like Names, Dates, ID#’s, Keywords, Locations, etc. Our Four-Stage quality control process guarantees high-speed, accurate scanning, indexing, storing or shipment of your critical documents. We will even offer you a DEMO CD presentation of your specific documents for review by your or your staff. Complete Records Management, Inc.’s goal in any archival project is to produce the most accurate digital images of your source records with precise On-Demand Retrieval Searches in the time frame that you require.